Dr. Edwin J. Feulner has served as the President of The Heritage Foundation since 1977. He was a founding Trustee of Heritage in 1973. As a result of Ed’s vision and leadership, The Heritage Foundation has grown from a nine-person policy shop in rented office space to what the New York Times has called “the beast of [all think tanks], the almost mythical Heritage Foundation…the Parthenon of the conservative metropolis.” Having guided Washington’s premier think tank through more than three decades of national influence, Dr. Feulner is widely credited with establishing The Heritage Foundation as the most dynamic and far-reaching public policy research organization in the world. Presidents, Vice Presidents, Senators, Congressmen, Governors, Ambassadors and other public figures have worked directly with Ed Feulner and The Heritage Foundation to implement effective public policies based on the principles articulated in Heritage’s mission statement: free enterprise, limited government, individual freedom, traditional American values, and a strong national defense. Dr. Feulner began his career as a Fellow at the Center for Strategic and International Studies and went on to serve as a Special Assistant to the Secretary of Defense, Chief of Staff to Representative Phil Crane, and founding director of the Republican Study Committee in the U.S. House of Representatives. He advised President Ronald Reagan on domestic policy issues. As the Chairman of the U.S. Advisory Commission on Public Diplomacy, he was confirmed by the U.S. Senate on three occasions. Dr. Feulner recently has been named one of the “Seven Most Powerful Conservatives in Washington” by Forbes magazine. He has also been featured on Fox News Sunday as the program’s “Power Player of the Week.” The Daily Telegraph in London named Dr. Feulner one of the “100 Most Influential American Conservatives,” and GQ magazine included him in its list of the “50 Most Powerful People in D.C.” He was included in the Washingtonian’s list of the “45 Who Shaped Washington,” over the magazine’s 45-year history. He has served as the Chairman of the Intercollegiate Studies Institute and President of The Mont Pelerin Society and The Philadelphia Society, of which he is a Distinguished Member. He is the Chairman of the Board of Visitors at Pepperdine University’s School of Public Policy. 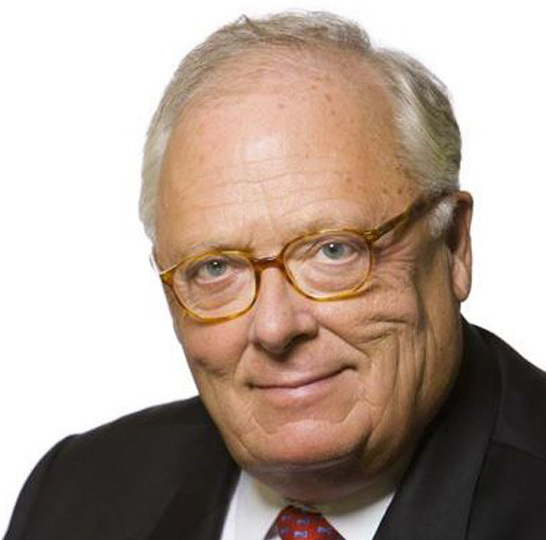 A syndicated columnist in dozens of newspapers across the country, Dr. Feulner is the author of many books, including Intellectual Pilgrims, Conservatives Stalk the House, Leadership for America, The March of Freedom, Getting America Right and, most recently, The American Spirit. He has received honorary degrees from a number of colleges and universities. He earned his Ph.D. at the University of Edinburgh in Scotland and his MBA from the Wharton School of the University of Pennsylvania, pursued further graduate studies at the London School of Economics and Georgetown University, and received his B.S. from Regis University. He has been married for 43 years to Linda Leventhal Feulner. Ed and Linda are long-time members of St. Mary’s (Catholic) Parish in Alexandria, Virginia. He is a Knight of Malta and a Knight of the Holy Sepulchre. The couple has two children and three grandchildren.